Lean Meals offers fresh, healthy meals that are low in calories and high in valuable nutrients. The meals are professionally prepared and delivered to your door chilled and ready to be reheated or enjoyed straight from the box. The variety is quite impressive, with 30 delicious new items available every week. In our Lean Meals review, we covered all aspects of this healthy meal delivery service and now it is time to focus on the distinctive qualities of Lean Meals recipes and the unique opportunity to come up with your own recipes using Lean Meals ingredients. When creating its recipes, Lean Meals has 3 types of customers in mind: those who want to lose weight, those who want to stay fit, and those who want to gain muscle mass naturally by combining working out with eating an adequate diet. Lean Meals recipes for weight loss focus on lean proteins and low carb content. The average calorie content per serving is 325 to 425 calories. For dieters with special dietary needs, Lean Meals designs weight loss meals that are free from gluten and suitable for diabetics. For fitness enthusiasts and individuals who want to keep their bodies in good shape, Lean Meals designs recipes that focus on lean proteins and complex carbs that take more time to break down, contain more fiber, and keep you satisfied longer. Fitness meals contain up to 500 calories per serving, which makes them suitable for weight maintenance. Finally, for individuals who want to gain muscle mass, the service crafts recipes that are rich in pure complex carbs, lean proteins, and essential nutrients, all of which support the process of muscle building. With approximately 600 calories per serving, these meals are highly satisfying and give you a lot of energy to burn. While lean, they are in no way suitable for people who need to shed some extra pounds. If you want to get creative, you can create your own custom recipes with Lean Meals. What you get is a long list of ingredients, including protein sources, carb sources, and vegetables. You create your recipes by picking the ingredients you like and deciding on portion size, which ranges between 4 and 10 oz. for proteins, 2 and 8 oz. for carbs, and ½ and 2 cups of vegetables. If you want to make your meals even more satisfying, you can add 1 oz. of dipping sauce to every meal. For each recipe you build, you get detailed nutritional information, so you get to know exactly how many calories you get per meal. You also get information on the amount of protein, fat, and carbs in your recipes. 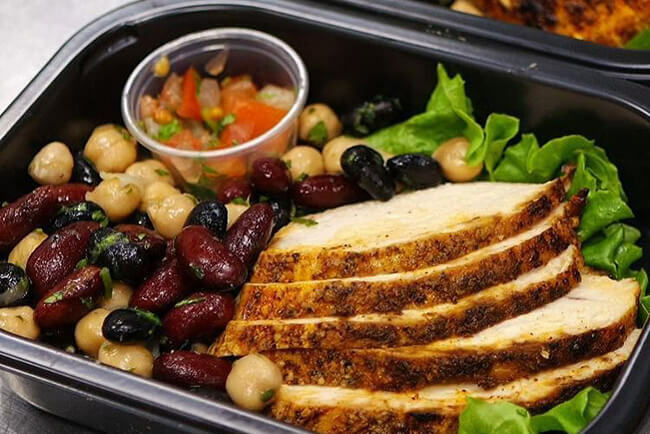 While we are thoroughly impressed by the amount of effort Lean Meals invests into creating healthy recipes for different lifestyles, we have to say that the opportunity to create your own recipes is what sets it apart from other services of its kind. 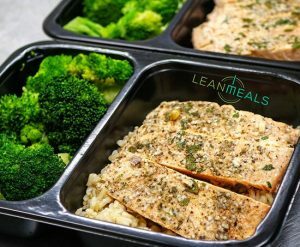 With this unique approach, Lean Meals has taken customization to a whole new level, which makes this service a real must-try. 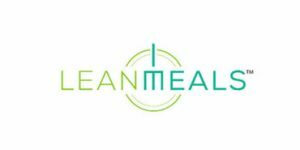 Lean Meals is a delivery service which offers healthy meal plans that are designed to promote weight loss, help you maintain weight or provide enough energy for an active lifestyle. You can choose the meals you like from their menu or create meals of your own by choosing the ingredients you prefer. Enjoy the benefits of their awesome rewards program.